One whole year of pushing her body and mind to its limits finally paid off as Rakshana Suresh Prabhu stood before the Prime Minister of India and received the baton for the being the best cadet. It was a dream come true and Rakshana was ecstatic. Among hundreds of cadets across the country, the 19-year-old had won the best cadet award in the senior wing category in the army (NCC). Surprisingly, Rakshana was never even remotely interested in the army. "I joined the NCC in 2017, in the first year of college, and the only reason I did that was to lose weight. I was never passionate about the army. But soon, I got very involved. Training is very intensive, both physical and mental and endurance is crucial. Sometimes you have parades as early as 4 in the morning to 2 am at night and that requires mental strength way more than physical strength," says Rakshana. 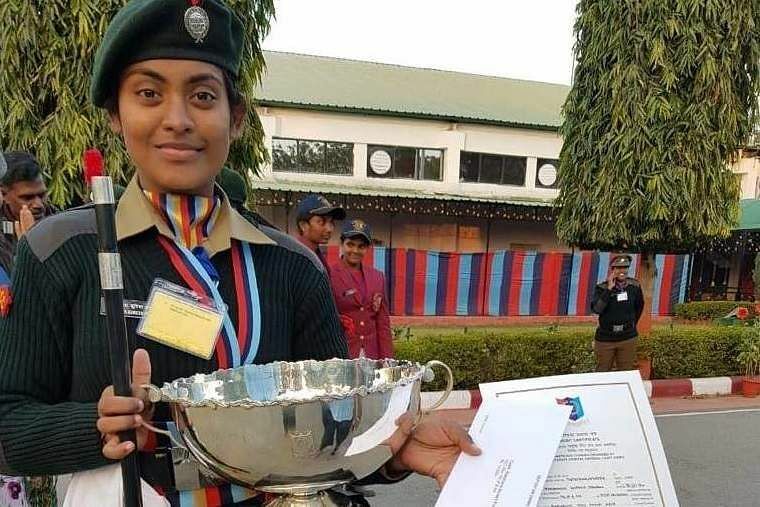 After the city and state-level competitions, Rakshana was chosen to represent Tamil Nadu at the nationals and won the best cadet award in the army wing. Talking about what the camps generally involve, Rakshana says, "Camps are generally very beautiful, but also very tiring. You get to experience extreme emotions during camps. There are times when you feel elated that you've done something you've never imagined possible, and then there are days when you feel like you've lost everything. The weather conditions are also extreme. In our camp in Tamil Nadu, we faced extreme heat and in Delhi, we faced extreme cold. We don't even get hot water to have a bath. We have to use cold water. But it's all part of the training and it builds us as people. For examples, there are various qualities that you learn like discipline, time management, cleanliness." There are also other activities like extempore and group discussions, interview with officers, general knowledge, theory on arms subject, firing and other drills. The camps are generally held in different colleges. Every year, the best cadet is given a baton from the Prime Minister of the country during the PM's rally, after all the Republic Day events. "It was the best moment of my life," says Rakshana, and adds, "I had always dreamt of it for the last one year. After getting the baton, we were made to stand in a line, where the Chief of Army Staff, Chief of Navy Staff and Chief of Airforce Staff, along with other higher officials comes and congratulates us. That was the most precious moment because I had worked hard for a whole year. I was also given a cash award of Rs 14,000 by the Central government and I will be given 10,000 by the State government." In spite of all her achievements in the defense sector, Rakshana still abides by her childhood dream -- to become an IAS officer. 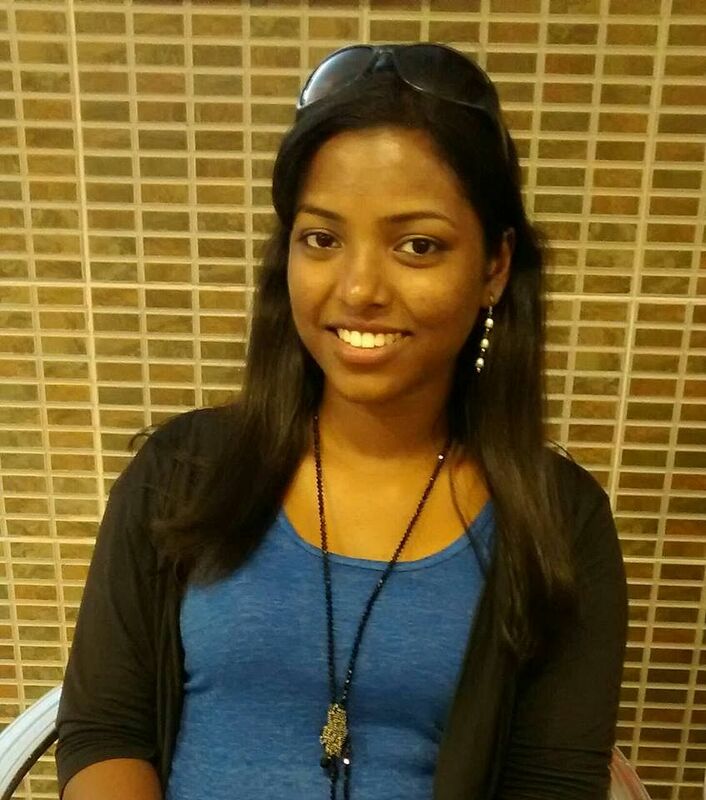 "I want to become an IAS officer because I want to do something that can bring about major change. Once that happens, one of the things I want to do is curb corruption and the second is to increase the salary of armed personnel because I've seen the amount of hard work they put in and how less they get paid. I've lived with them and I've seen what it takes to do what they do," she says.